Khan moved to the UK when he was only 12 years old, he was originally from Serbia, part of what was once Yugoslavia. Its hard to believe that Khan was once a seven stone weakling at the age of 14, but one of his school teachers inspired him to take up bodybuilding and he has never looked back since. In 1986, Khan won the title of the Mr Warwickshire bodybuilding championship. Before achieving his dream of becoming a Gladiator he was a model, nightclub doorman and even starred in TV commercials. Khan was a very determined and tough Gladiator. Although he is so big he was fast on his feet and proved himself well in a wide selection of events including Sumo Ball and Whiplash which were his favourites, but he also gave some superb performances in Duel and Hang Tough. 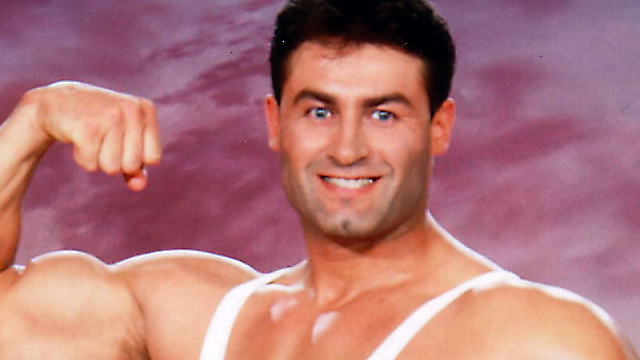 Khan, who has one son called Chaslav, didn't compete in the 1998 television series of Gladiators as he was representing the Gladiators team in The Royal Tournament in Earls Court, London, in which he was facing contenders from the Royal Army, Navy and Air Force in the Pursuit event. Khan certainly proved that he was the Conqueror! Nowadays, he puts his muscle to good use as a competitive moutain bike racer and mixed martial artist, competing in the U. M. A. British Open 'No Gi' Grappling Championships 2009. Khan is also a qualified wrestling coach at Handsworth Grammar School in Birmingham. Handsworth's Wrestling Club teaches year 10 and the Sixth Form students and is linked with the Birmingham Wrestling Federation.